I am the ghost of offseason trades past. Mike Bolsinger (3-1, 1.98) vs. Rubby De La Rosa (4-2, 5.09). Remember this guy? Rubby De La Rosa was an up and coming prospect for the Dodgers, but we traded him to Boston in 2013 as part of that Adrian Gonzalez / Carl Crawford megatrade (De La Rosa was a PTBNL, who was defined in October 2012). Since then he has had a couple of major league seasons, never with a winning record until this year with Arizona, which follows a career low 4.43 ERA (and 4-8 W-L record) in Boston last year. "De La Rosa" is really not that close to "De La Rocha". But I have always liked this track, arguably not their best, but still a good one. And after watching the Dodgers sulk through a weak showing against St. Louis, it's hard not to listen to the opening words, "no matter how hard you try, you can't stop us now" and sort of laugh at how that isn't the Dodgers' persona at this stage. We're more in a Funk than we are Renegades. 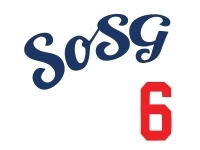 Can we beat a SoSG dead horse, and Rubby one out tonight? UPDATE 6:30p: Forgot to mention, SoSG AC and Stubbs are at the Stadium tonight, suiting it up for Blogger Night! AC already sent me a photo about him running into Lisa Leslie. I think he was called for a blocking foul. If there's a dead horse to beat, I'm in! Colorado, the worst team in the NL West, is up on St Louis 10-1. American Pharoah living the dream now. Being put out to stud his new daily schedule is Eat, Sleep and Breed (4 times day). I got FSN on my new Charter cable!!! it's a beautiful day!!! @Dusty....You are expected to be here tomorrow front and center. Here we go. Bolsinger taking a knee after being hit by the ball. Damn I don't have any beer in the house! Hope Sosg doesn't ban me for admitting that in the GT. @Karen I'll chime in early and often! Three straight hits in the first inning gets us...one run. One measley run (after Grandal flies out and Guerrero Ks). No self respecting person named Dusty would not have beer. leadoff single to Kendrick. Man, we missed him. We had this situation yesterday and got punched in the nuts. Let's see if tonight is any better. Bundy actually makes the right call, to send Kendrick. Men at second and third due to Inciarte's crap throw. Thanks, Ender! 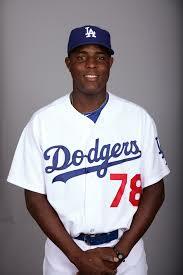 Sax reminds the Dodgers they are playing against Rubby De La Rosa, and they respond by breaking the game open. Jimmy Rollins with a three-run HR? Did NOT see that coming. Look, as long as they've got Rubby out there, we need to take advantage. Keep the hits coming! Ethier with a three-run HR. wow. ALERT for Charter subscribers: Dodger game is being broadcast!!! Long national nightmare is over (for some).